When artisan soap maker Deborah Kraemer launched her line of all-natural soaps fifteen years ago, under the brand name Abbey Brown (www.abbeybrown.com), she had no idea that her skills and business savvy would lead to an invitation by the Industrial Council of Nearwest Chicago and the Illinois Small Business Development Council to represent them at their 2014 trade mission to South Africa. Yet this week, Kraemer will join a group of noteworthy Illinois companies who will spend ten days in South Africa, building new business relationships while showcasing their products and capabilities. Kraemer not only plans to meet with a wide range of international personal care companies to foster new commercial partnerships, but she also expects to meet with African economic development organizations to conduct her personal mission of being a global advocate for teaching soap making skills. "Natural soap may seem like a simple, personal luxury to most Americans," says Kraemer, "but for the many people of Africa and other parts of the developing world who have limited access to personal hygiene products like soap, learning to make their own natural soaps, using ingredients found right in their own locale, is a compelling and cost-effective way they can improve their health. It's also a skill set; a way to earn a living. Natural soap making also is a sustainable process, and that's become a priority throughout the world." Kraemer, originally an educator, began making soap because her son had very sensitive skin that reacted terribly to commercial products. The all-natural products she made were extremely beneficial, so she continued to hone her skills and her reputation grew. She officially launched Chicago Soap Company in 2000, focusing on her Abbey Brown line of products, at Chicago's city farmer's markets and by 2003 had begun her online store. 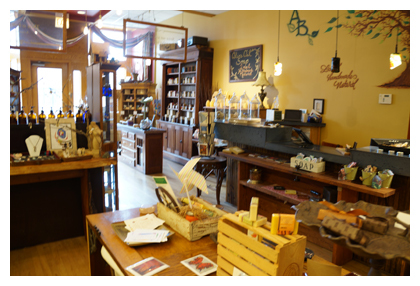 In 2006, she opened the spacious Abbey Brown Soap Artisan and Gift Shop, a retail location at 1162 W. Grand in Chicago (telephone: 312-738-2290). Kraemer was one of the founding vendors at the Chicago French Market and was there for four years. She also had a retail presence for three years at Navy Pier. She also continues to sell her products at many venues and markets throughout the area, yet her direction is increasingly moving in the direction of wholesaling and educational activity. The business has become so successful that she is taking it to the next level, concentrating on building the Chicago Soap Company brand-Abbey Brown will remain one brand under the corporate umbrella. 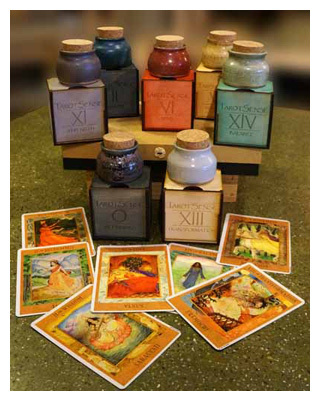 She also is launching a new product, Tarot, a line of solid, all-natural perfumes. The company now produces more than 170 all-natural products: soaps ($2-$10.50), body butters ($18), body oils ($9), shea balms ($9), lip balms ($3-$4), mud soap ($10), hydrosols ($10), face serums ($8), shaving soaps ($8), shampoo bars ($7.50), bath salts ($7-$30) and pet care products (soaps and paw balms, $6), candles ($7-$16), room diffusers ($1.50-$30), petals and herbs ($4-$10), essential oils ($10-$25) and carrier oils ($7-$12). There are also a variety of beautifully decorated gift packages and a soap of the month club. The Chicago Soap Company will expand its business in part by growing its wholesale and private label enterprises. "We've been producing private label products for a long time, but now we've reached a level of efficiency and capacity where we can service larger accounts," explains Kraemer. "One of our strengths, in addition to making products of exceptional quality and purity, has been our creative packaging. 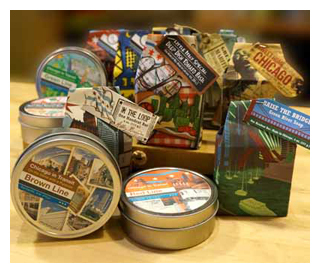 We work with a cadre of local Chicago artists to create beautiful, often whimsical, packaging. Since soaps and related items are a very personal product and are often purchased as gifts, we have always insisted that our products be as attractive to look at as they are amazing to use." Kraemer is quick to draw a distinction between artisan soap making as a business versus soap making as a craft. "We are very pragmatic about our business growth. 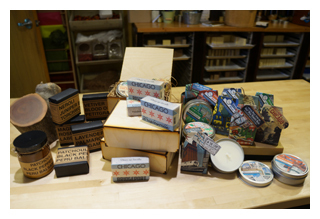 We want the Chicago Soap Company to continue to grow as a profitable and highly responsible enterprise. We recognize that there is a huge and growing market for our products for home use as well as in institutional settings, including hotels, resorts, restaurants and retailers. We can produce highly-customized products to meet the specific needs of our clients. By private labeling our products for them, any number of corporate entities or organizations can reap the benefits." The educational mission of Chicago Soap Company continues to be an important part of the company's business culture. "We have developed many different educational programs," says Kraemer. "Not only do we teach soap-making for the general public who want to make soap as a hobby, but we also offer a series of classes that teach people how to make soap and, in addition, how to operate small businesses, so they can start their own entrepreneurial ventures. We teach them the basics of accounting and bookkeeping as well as sales and marketing techniques so they can succeed as business people." 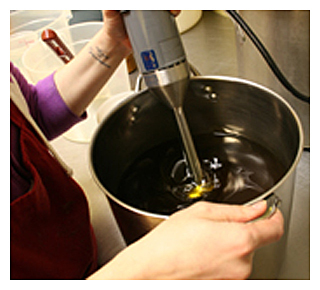 Chicago Soap Company also maintains highly regarded apprenticeship and internship programs. Kraemer has held classes for many groups, from non-profit organizations that want to sell soaps as fundraisers to educational programs that focus on serious job skills. She schedules classes for groups of convention goers, tourists, and even for kids' birthday parties. Kraemer believes that interest in natural soaps is following the same path that natural, sustainable foods took during the past two decades. Soap awareness has been just slower to reach a mass audience. "People have become accustomed to thinking carefully about their food-the natural purity and wholesomeness of the ingredients, the sustainable and caring way in which they are produced. The same awareness is now springing up regarding personal care products. "It's no longer news that commercial, mass-produced soaps are often made with chemicals and additives that aren't healthy and degrade our environment," Kraemer continues. "For example, the surfactant chemicals typically used by large manufacturers to make soaps and shampoos generate more lather are simply not good for us, and the healthy ingredients they do put in these products, such as aloe, are used in such small quantities that they hardly make any difference." As a craft, Kraemer is still fascinated by the many creative recipes and techniques that can be used to produce personal care products naturally. "We can choose from many, many ingredients to make soaps that meet particular needs. Some soaps are exfoliating, while others are extremely mild for sensitive skin. We use natural, healthy oils, fresh herbs, fruits, spices, and other all-natural ingredients to add fragrance and functionality-all without synthetic chemicals and additives." Kraemer, always an educator at heart, envisions Chicago Soap Company establishing a museum of soap making in the years ahead. "Soap making is a historical craft that has been around since Biblical days. There are so many aspects of it that are worth knowing about. We hope the museum will be a unique destination that everyone, young and old, will find fascinating and enjoy." For more information about the Chicago Soap Company and to purchase products online, please visit the websites: www.chicagosoapco.com and www.abbeybrown.com.